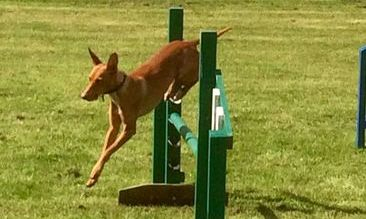 Like so many breeds the Cirneco dell Etna has excelled in many disciplines since the introduction of reward based training. 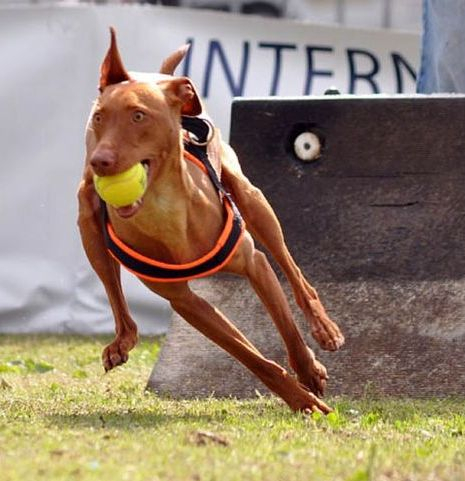 Unlike their Sighthound cousins they have been bred to work alongside hunters making them in many ways easier to train whilst still retaining the Hound attitude and pizzazz! There are many competitive arenas in the UK in which the Cirneco are showing their willingness, trainability and eagerness to work. 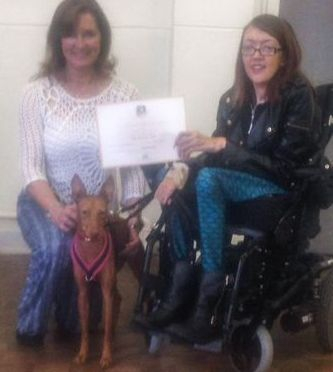 A great place to start from Puppy Foundation to Gold Award. 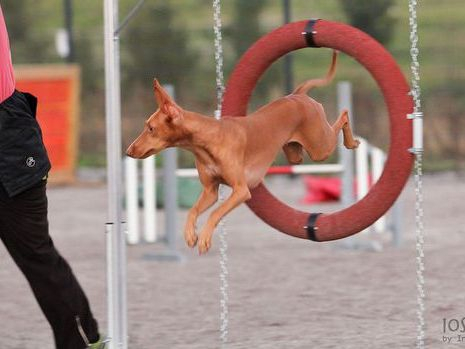 The purpose of Obreedience is to encourage more breeds to 'have a go' at some of the tests associated with competitive obedience but in a less formal competitive environment. 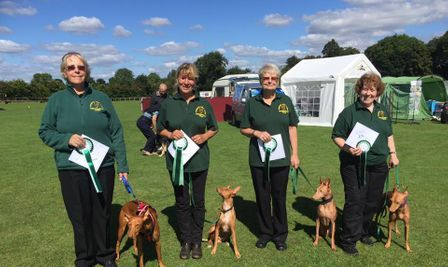 It mixes the best aspects of obedience with the camaraderie found amongst breed enthusiasts, each Obreedience team must comprise of four handlers and four dogs of the same breed who take part in two rounds of competition including a round of heelwork performed together as a group and then four set exercises including a retrieve, a 'send to bed', commanding the dog to stop, and a scent exercise. A high energy sport that Cirnechi absolutely love whether you wish to have fun at your local training Club or aspire to Competition . 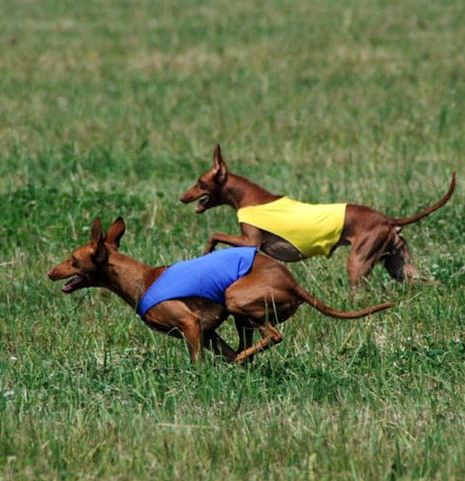 The latest canine sport to becoming popular in the UK . Basic search games involve teaching the dog to indicate where different scents are hidden . 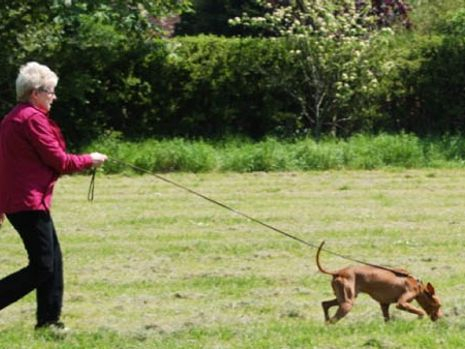 As a training activity, scentwork is fun, very rewarding and at the same time mentally tiring for your dog. It will improve the relationship between you and your dog and is a great confidence builder especially for the shy dog. You can participate whether it is just for fun, or go on and enter trials and gain qualifications.